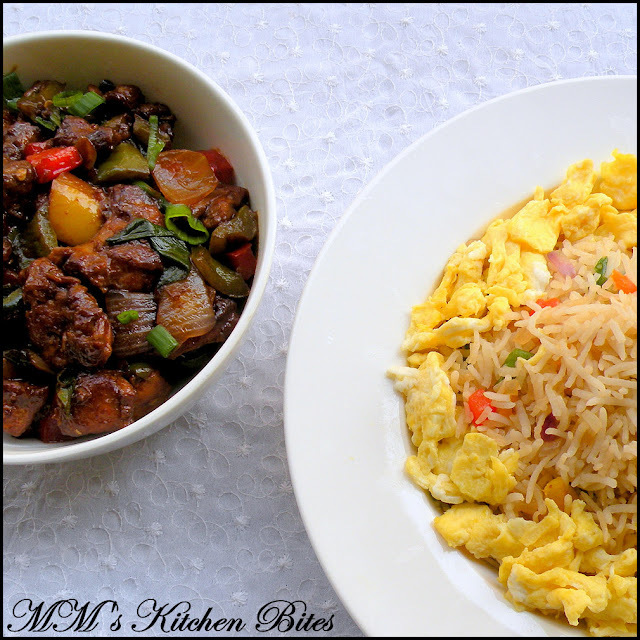 MM's Kitchen Bites: Ginger Fried Rice...Fred and Ginger!!! Break up large clumps of rice and separate the grains with wet fingers or a fork. Lightly whisk the eggs with a tablespoon of water and a little salt. Heat a large wok or nonstick pan until hot. Add 1 tbsp oil and swirl around the wok. 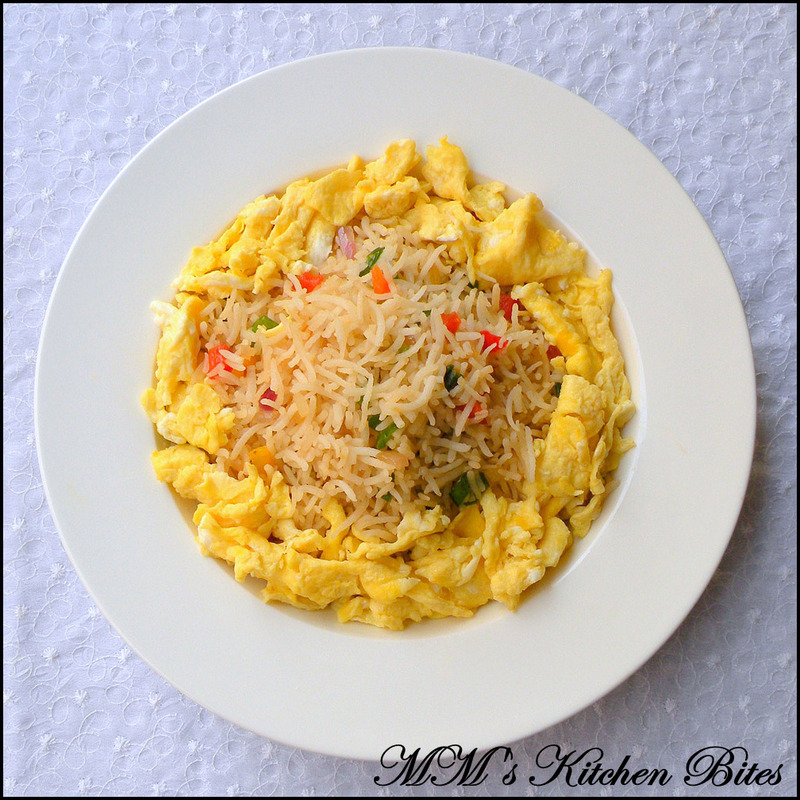 Add the eggs and stir to scramble until they are almost cooked but still a little soggy – about a minute or two. Take out the eggs and keep aside. Heat the remaining 1 tbsp oil in the same wok. When the oil is hot and starts to shimmer, add the ginger and onions. Stir fry for about 30 seconds or so till the ginger gets fragrant. Add the rest of the veggies and stir fry until tender, about 2-3 minutes. Add the sauce of your choice, salt and pepper. Reduce the heat to medium and add the rice.. Stir and toss to mix until the rice is well coated and heated through. Taste and adjust seasonings if necessary. Remove from heat and add spring onions greens, eggs and sesame oil, if using.